The end of last month was a little crazy and I accidentally forgot to write my usual favourites posts! There are a few things that really stood out that I wanted to mention before I forgot again, so this will be a little bit of a mish-mash of lots of things! I do love a haphazard post, they're the most fun to write! A few years ago I was incredibly loyal to a few select products. In between then and now I've become a bit of a product-floozy, constantly flitting between different things and I can't say that I haven't had a lot of fun, but I think that I want to go back to having a few things that I completely adore rather than lots of things I think are okay. The Lily Lolo foundation has been a favourite of mine for a long time. A couple of light layers buffed gently over my skin after applying a good moisturiser and a little bit of concealer is just perfect. Sometimes my skin is far too dry to use it alone but it works fabulously as a setting powder on those days, so it's a bit of a winning product all round. Right now I'm having a hate-hate relationship with all my brighter lip colours. Every time I try to wear one I look in the mirror and think that they look so ageing - I think this is partly because it's my birthday soon and I'm having a slight quarter-life-crisis! 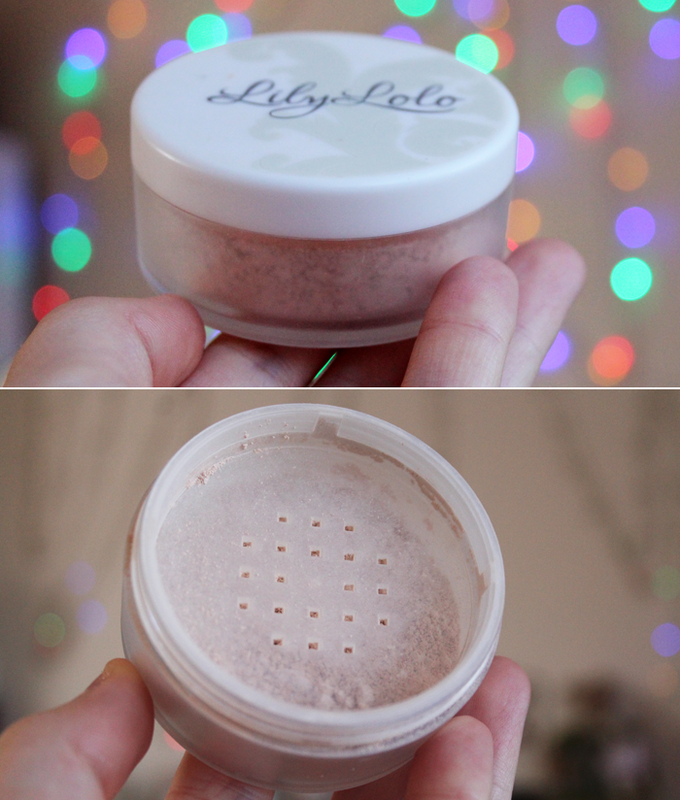 This little pot came in last month's Glossybox* and I think it's pretty perfect. A little bit gives a barely-there amount of colour and if I keep adding a little more the colour seems to build up a little, which is nice. It's smooth, wonderfully glossy, and fairly hydrating. All for under £5 too! I wish that all blushes came in such dinky packaging, it's so cute and that's actually what attracted me to this range of blushes in the first place. I'm such a sucker for packaging, I think I'm an advertisers dream sometimes! Santa Rose is one of those colours that just seems to work and I've found myself reaching for it on those days where I'm not sure what I want to wear, which appear to be getting more frequent as I get over - come back decision making skills! Giving a very natural, neutral rosy peach glow, this is a beautiful thing in a tiny little package. These two together are a bit of a dream team. When it comes to hair I'm pretty low maintenance, but in my books bigger means better. I used to backcomb my hair every single day and although I didn't find my hair was getting too damaged I figured that it's probably not the best to do all the time. I chopped off a good few inches to get rid of the scraggly ends and discovered the joy of texture. My hair has a little bit of a natural wave to it, but it's fun to accentuate that a little more with a waving tool. I'm not neat with it at all, the messier the better! 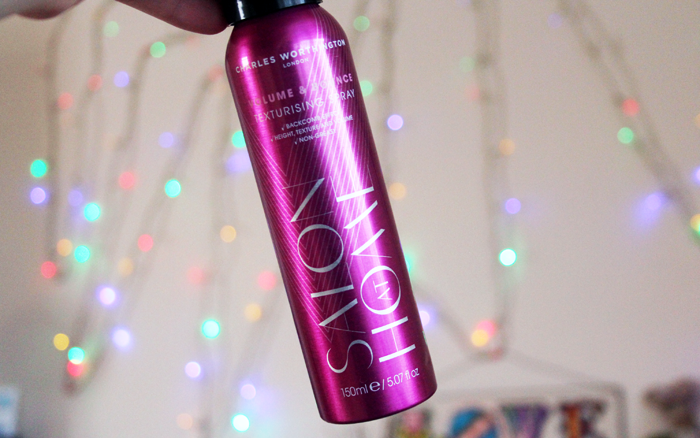 I haven't tried the Oribe texturising spray that has been getting a lot of hype recently, but I was gifted this beauty from Charles Worthington that I think is fairly similar and honestly, it was love at first spray. It adds a little bit of extra messiness as well as a little bit of hold too. It's definitely a winner! Last Saturday I picked up this book, a big mug of hot chocolate and retreated to my bed where I'd made a mini fort out of duvets and blankets. I was feeling a little sad that day and needed to escape. I barely moved until I'd read every single word and it was as wonderfully sweet as I'd hoped it would be! Have you really loved a particular book, product, or song recently? 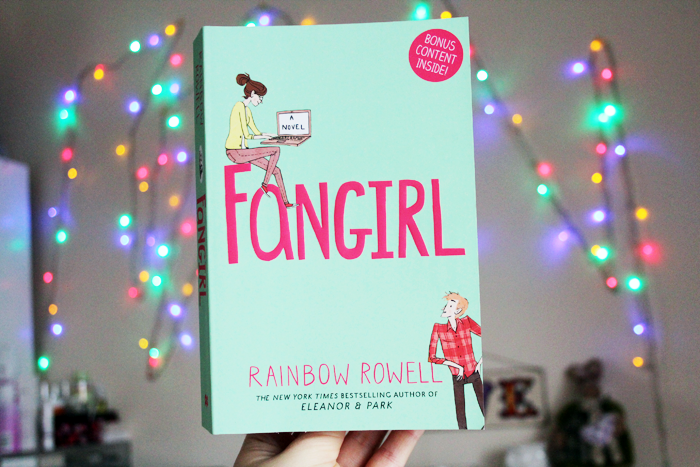 I've seen so many bloggers saying they like Fangirl, but I've never read it, I think I may just have too. 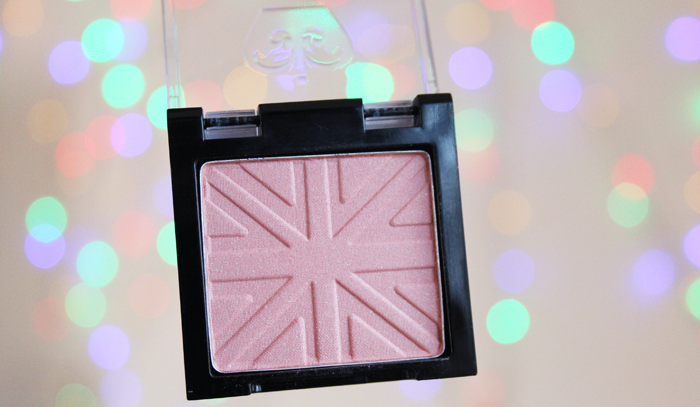 Also the Rimmel Lasting Finish blush looks super pretty! Loved this post. I really really want to read fangirl, everyone seems to love it! 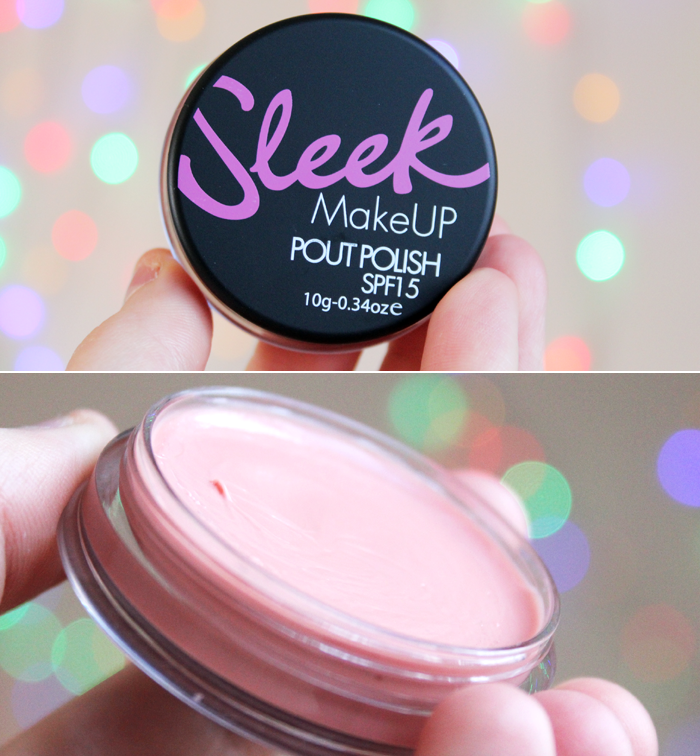 I love this blusher, it looks soooo lovely! I'd not even seen most of the products you've talked about in this post. That lip balm looks so good though, exactly what I like and need after running out of my MAC lipconditioner. 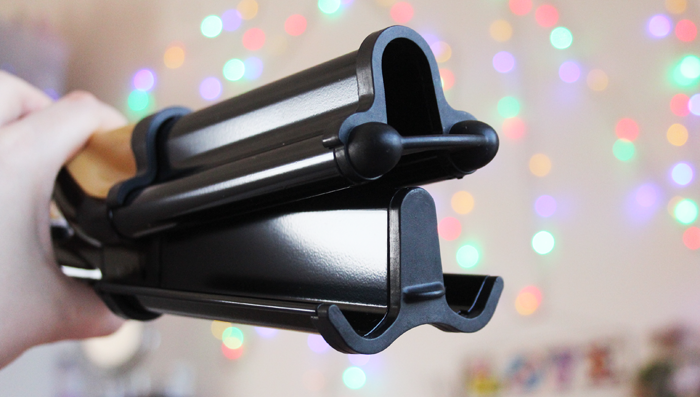 That barrel waver needs to be mine! Looks faaab - I want one! I've been eyeing up the same lily lolo foundation for a while! I love a good mineral foundation :) Lovely post. p.s. I'll also definitely need to look up Fangirl - as if I need to buy any more books! Oh, how much I love Fangirl. It's one of the books I relate a lot with and couldn't stop reading it.